— Benjamin McKissick J. on Jul 23, 2018. — Anthony L. on Feb 19, 2018. — Bryan Z. on Feb 19, 2018. — Jonathan G. on Feb 18, 2018. — Frandy B. on Aug 17, 2017. — Suzanne on Jul 14, 2016. — Gary L. on Jan 13, 2016. — Jonathan on Sep 4, 2015. — Volterock on Aug 14, 2015. — TheBasselectronic on Feb 21, 2015. — Bryan on Feb 8, 2015. — Westcoast Fletch B. on Oct 8, 2014. — David M. on May 19, 2014. — Sean L. on Nov 13, 2013. — Josh on Nov 13, 2013. — JamesCalvin on Sep 25, 2013. — Nicolas N. on Sep 10, 2013. — Jordan M. on Aug 10, 2013. — Holger on Jul 23, 2013. — Tony B. on Mar 21, 2013. — Lars on Mar 21, 2013. — chris on Nov 27, 2013. — Vinh T. on Mar 31, 2016. — Ana T. on Sep 11, 2013. We are a group for those individuals interested in music production using the computer or other electronic devices and instruments. Music producers of all skill levels, from beginner to highly professional, are welcome! We are not tied to specific software or hardware and encourage learning and collaborating across platforms and genres. There is always something we can learn from each other. Our program comprises classes, as well as collaboration and networking meet-ups. Most events are free or require small donations to cover expenses. We provide a fun environment, where you can improve your technical and musical skills, as well as learn to navigate the music industry and most importantly making like-minded friends. 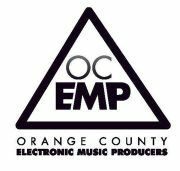 The Orange County Electronic Music Producers (OC EMP) group is part of the Electronic Music Producers Association (EMPA), a tax exempt non-profit organization, which was founded to create a legal entity for the group. Donations are highly appreciated. They help us to cover operational costs, purchases of presentation equipment and other expenses.